In this week’s roundup of creative goodness, we have a vibrant vector illustration tutorial, a quick retro photo effect tip in Photoshop, a clever shading technique for your illustrations, a tutorial for creating a hand drawn poster design and a Photoshop icon design tutorial. Follow this Illustrator tutorial from Vectortuts to create a vector jar illustration with vibrant colouring and clever glass effects. This Photoshop quick tip from Abduzeedo takes you through the process of adding light leaks to your photography for that retro film effect. 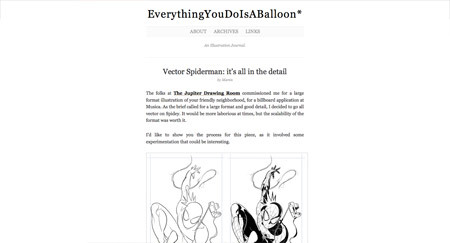 This post from talented illustrator Martin Ansin shows the shading process of a vector Spiderman illustration. Martin uses a clever shading technique which emulates the halftone and hatching effects used in comic book art. 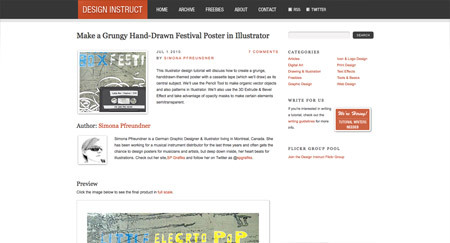 This recent tutorial from Design Instruct describes how to create a grungy festival poster in Adobe Illustrator, using a range of cool hand drawn elements. 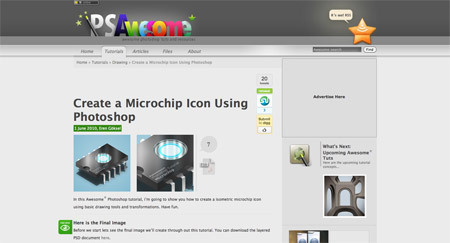 PsAwesome host this fantastic Photoshop icon design tutorial, which shows the step by step process of creating a microchip icon. Use a grid to build the basic shape, then transform the shape into a three dimensional isometric design. Very Imressive !!! Thanx But Base On What U make these as the favourite ? I’ve always been a huge fan of Abduzeedo, especially their daily inspiration, which always provides me with inspiration whenever I come across it. 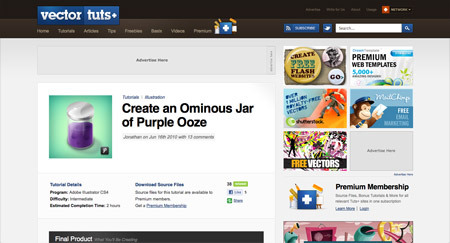 Haven’t found the best tutorial site yet, but would love to see some more on here, especially for creating Photoshop styles. I can’t seem to do them. Ben böyle bir film görmedim arkadaşlar süper ötesiydi.Hepinize tavsiye edeirm.